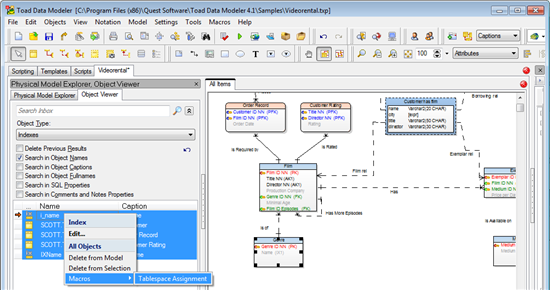 Download package TablespacesAssignment and import it to Toad Data Modeler. Select entities in Physical Model Explorer, right click on any of them and choose Macros | Tablespace Assignment. New custom dialog opens. 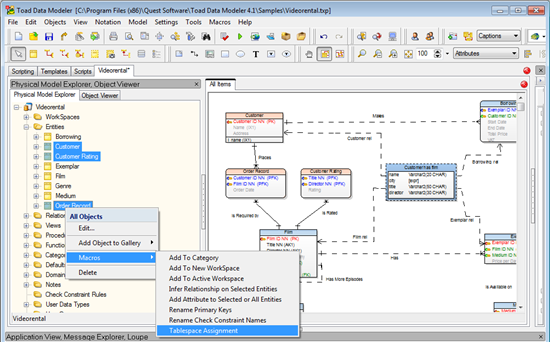 Select existing Tablespace and click Execute. See messages in Message Explorer. Of course, the macro works fine for objects/shapes selected on workspace too.